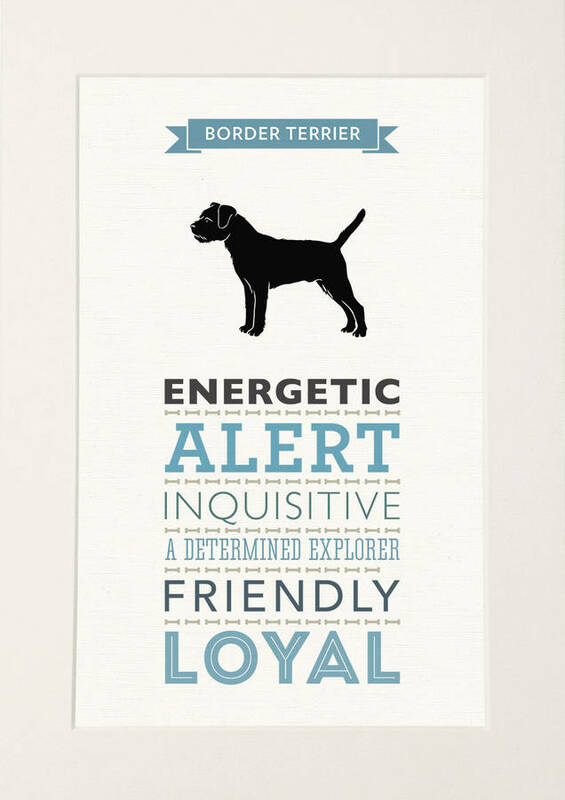 A lovely typography print featuring the character traits of a Border Terrier. 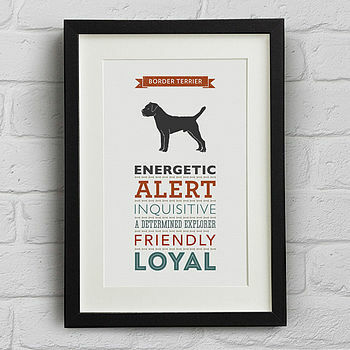 As well as the Border Terrier we have many more breeds currently available and we regularly add new dogs. 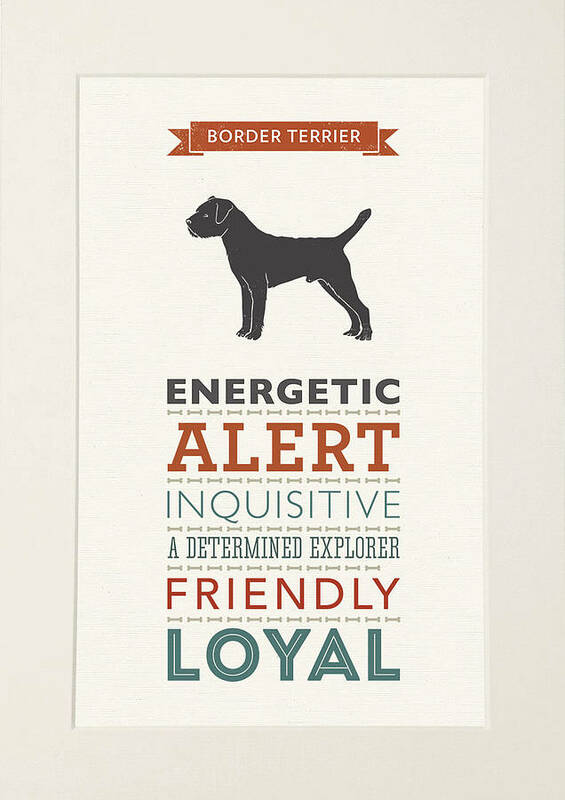 Each design features an illustration of a Border Terrier in silhouette and six different common characteristics of the breed in a carefully selected range of typefaces. 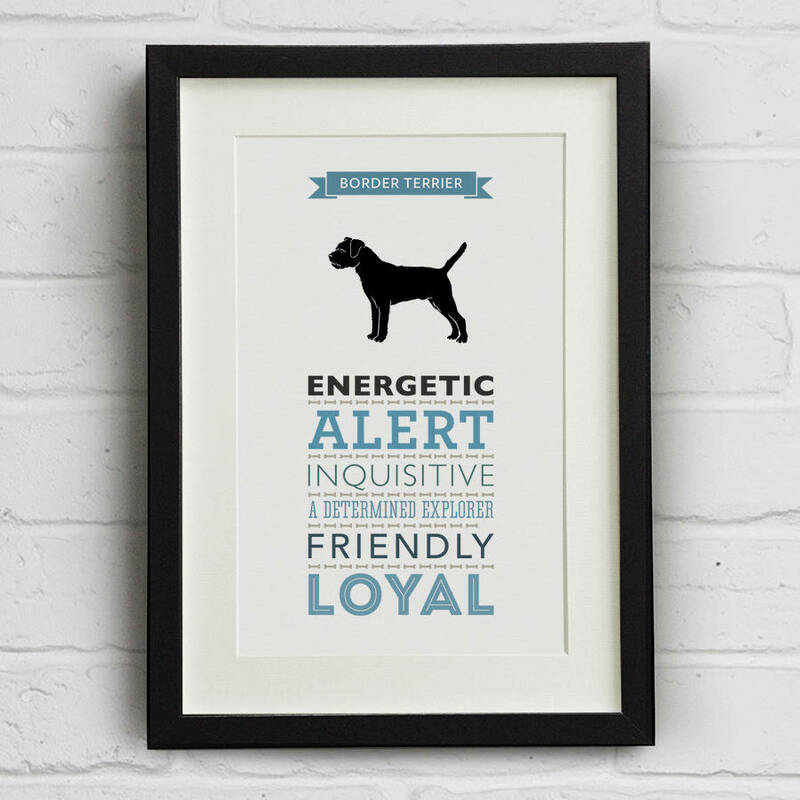 They make a great gift for the dog lovers in your life. There are 2 colour options. The main image shows Reds/Oranges & Teals and we also have a version in Blues & Greys which you can view in the gallery. The unframed A4 print comes with or without a white picture mount. The design is slightly smaller on the mounted print. 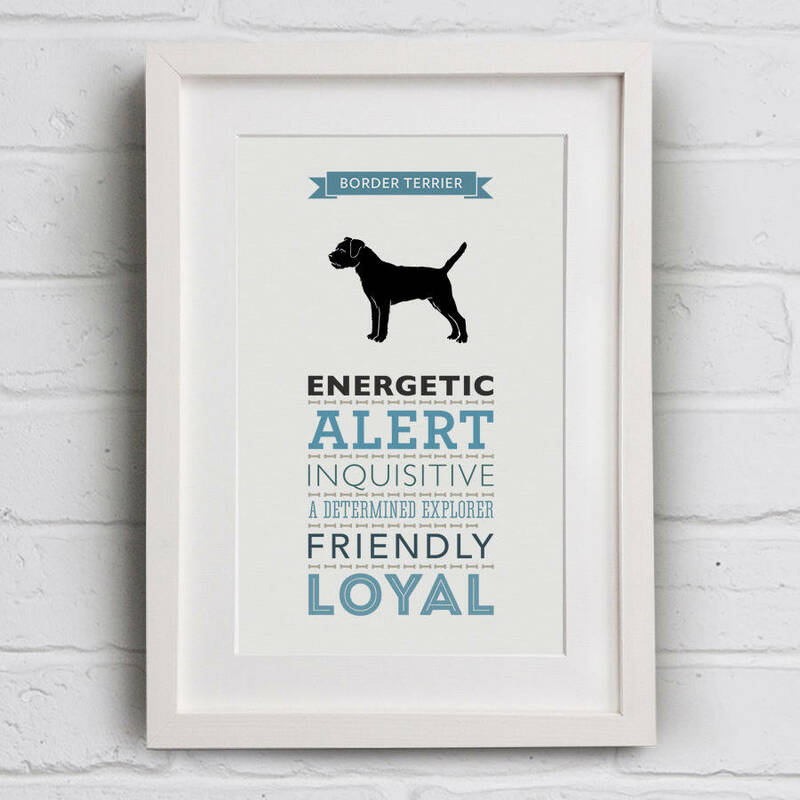 The A4 print can be framed with a black or white frame and white picture mount. The A3 print is available unframed only and does not include a mount. 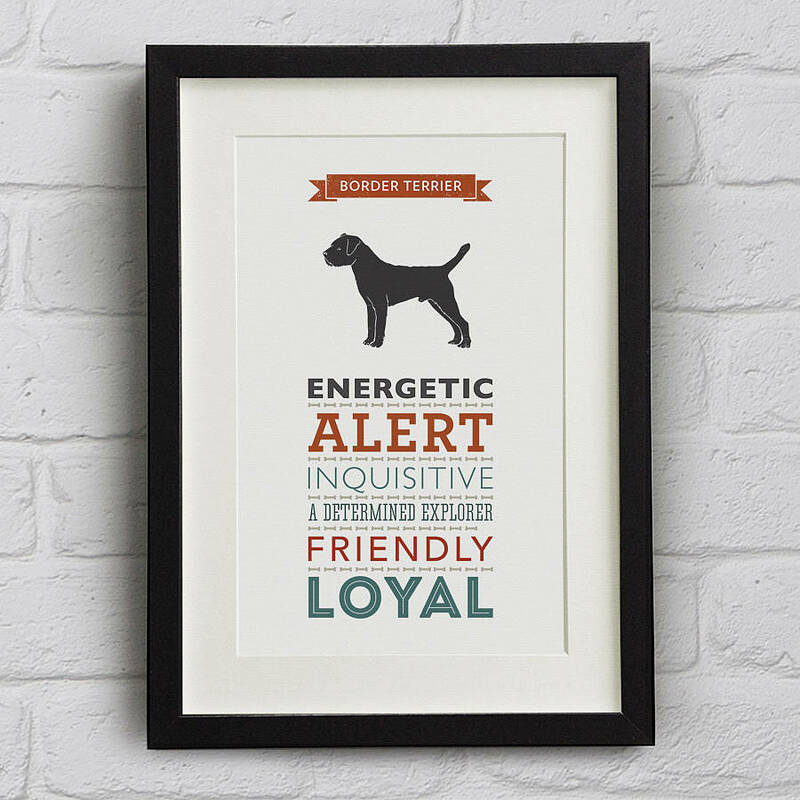 A change in the framing cost for the duration of the sale equates to a 10% discount for a framed print. Printed on acid-free paper with pigment inks for long-lasting colour. Framing is available for the A4 print using a 22mm wide, 30mm deep black or white picture frame made from real radiata pine wood with a paint finish using Clarity+ premium acrylic safety glazing. The finished frame is neatly taped on the reverse with hanging cord attached, so it's ready to hang right from the box. This product is dispatched to you by Well Bred Design.